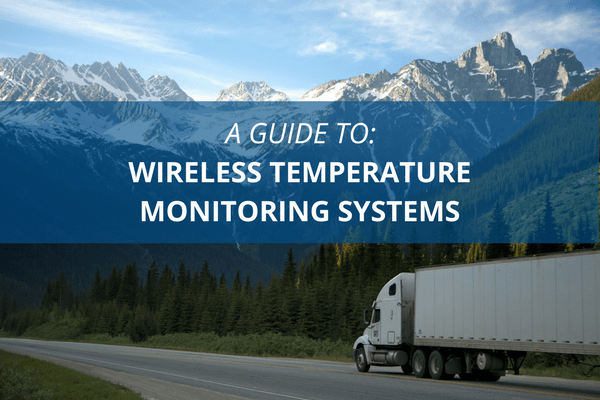 There are many wireless temperature monitoring systems, each fitting different business needs. 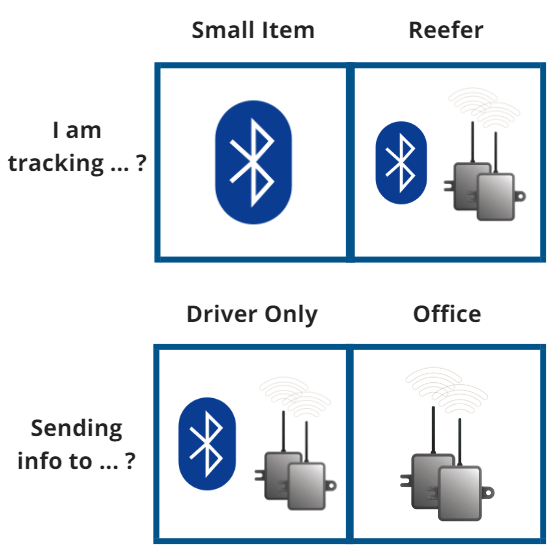 Two alternatives include Bluetooth tracking tags and a reefer monitoring system. In order to determine the best fit, there are two important questions to ask. 1) What am I trying to track? I am trying to track a smaller item, such as a cooler. For small assets, a good alternative is a wireless temperature monitoring system using Bluetooth. These systems are small enough to be attached to small assets. I am trying to track a reefer unit. Temperature controlled trailers can be tracked with either a Bluetooth tag or a reefer monitor. 2) Who needs to see the temperature data? Only the driver needs to see the data. The Bluetooth tag can send temperature data to the driver. The reefer monitor can also send data to drivers. I need the information to be sent to a customer or back to the office staff. The reefer monitor would be the better solution because it sends real-time reports and alerts to remote locations. The Bluetooth tag, however, cannot transmit data beyond 250m. After answering these questions, let’s look deeper into these two alternatives! Great fit for: Tracking smaller assets, sending temperature info to drivers is sufficient. GoBeacon Bluetooth Asset Tracking is a wireless temperature monitoring system using bluetooth. The asset tags provide data about an asset, including temperature. This data is sent to a nearby cellphone. One business delivered cold goods to local customers. They wanted to ensure their products met customer expectations. They stored the goods in a cooler and attached a GoBeacon sensor. The driver then installed an app on their phone. This app gave temperature updates to the driver and alerted the driver if they needed to replace ice packs. As a result, the business decreased spoilage rates, which in turn, led to greater customer retention. Great fit for: Reefer trailers, Sending temperature data to a remote office is required. The Valor system is a great option for creating and sending real-time temperature reports. These reports are sent back to the office or to the customers. In addition to reports, fleets also set appropriate temperature ranges. If the systems detects a temperature that is out of bounds, alerts are sent to both the driver and to the office. One fleet operated reefers that carried ice cream (yum, perfect for summer weather). The fleet used the Valor system to prevent ice cream from melting. The office set up temperature rules that kept the ice cream at its yummy state. When trailer cooler systems malfunctioned and the temperature was out of bounds, alerts were sent to both the drivers and the dispatchers. The dispatchers then scheduled service to meet the driver on the road. This allowed the fleet to reduce wasted inventory and achieve higher customer satisfaction.